But first, what is REST? 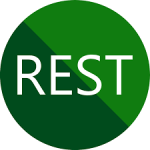 REST stands for ‘Representational State Transfer’ and it is an architectural pattern for creating an API that uses HTTP as its underlying communication method. Almost every device that is connected to the internet already uses HTTP; it is the base protocol that the internet is built on which is why it makes such a great platform for an API. It’s an easy way to search and discover all REST APIs developed by Microsoft. It helps you find the right API and its documentation in seconds. It doesn’t matter whether you know the exact keywords or not – or even if you don’t know what service it’s in. Previously, if you wanted to find the documentation of any REST API, you had to go through the table of contents on the content pages or do a site-wide search, but now Microsoft has provided a one-stop shop for all APIs. There are also quick filters to help you search in case you do know the service you are looking for. Try Azure REST APIs directly in your browser. Experiment with different parameter values or request body. Microsoft is planning to make many improvements in these new utilities and wants to expand the Try It feature to include non-Azure REST APIs as well.